You have a great house where you have managed to fill it up with cool looking furniture and an interior design that is aligned with the times, future-proof even. Why not make it smarter than usual with the addition of wall outlets that are out of the ordinary? Enter the Currant Smart Wall Outlet. This happens to be the first AI-powered in-wall smart outlet from the company that is capable of analyzing power usage as well as creating personalized, easy-to-implement suggestions for consumers, contractors, business owners, and real estate managers. It has the ability to automatically power off devices and appliances, reducing excess electricity usage along the way so that you may be able to further save on your monthly expenses. The Currant Smart Wall Outlet is available in a 15 amp version for homes and a 20 amp outlet that has been designed for the commercial market. Regardless of whether you pick up the home or commercial models, either one is able to be controlled by the Currant App, Amazon Alexa, or Google Home. Talk about being a truly smart solution for those who would like to make their home as modern as possible. 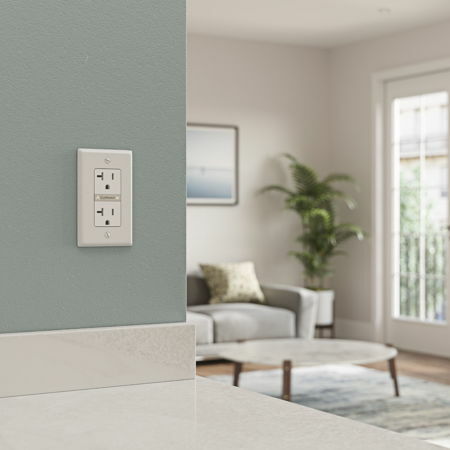 The new Smart Wall Outlet has been specially designed to replace traditional outlets, where it boasts of duplex tamper-resistant receptacles that can be easily installed, no matter whether it is within the confines of a commercial business, new construction, or even existing homes. Every in-wall unit has the ability to analyze real-time electricity usage, where it will then showcase it in intuitive graphs that break down energy consumption and cost by hour, day, month, or year. The Currant App comes in handy to monitor all devices and appliances that are plugged into the outlet. This helps provide effective controlling power via the outlet, ensuring that one is always in full control of all one’s devices and appliances. Running on both Wi-Fi and Bluetooth connectivity, the Currant Smart Wall Outlets will also play nice with existing Currant Smart Outlets.